Dust-proof and mold-proof, this ultra-thick cover offers a high grade protection for you outdoor lounge chair. 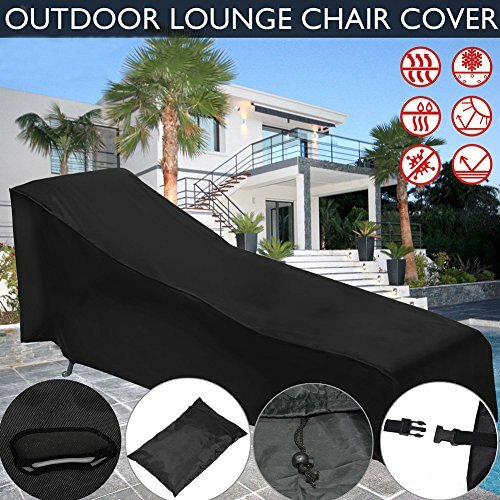 Featuring a tough material provides full protections which effectively prevents the damages of your lounge chair from exposing in bad weather condition. Reliable protective cover to keep a new looks for your lounge chair throughout the seasons; Specially to fit all weather conditions: snow, sun exposure, sleet etc. Designed with high-quality 210D oxford material with water repellent coating, ultra-thick material prevent cover from tearing over time. View More In Chaise Lounge Covers. If you have any questions about this product by PROKTH, contact us by completing and submitting the form below. If you are looking for a specif part number, please include it with your message.